At a recent walk through around Fyne Court, a National Trust woodland in Somerset, I came across some peculiar looking fungi, which have even more peculiar names. 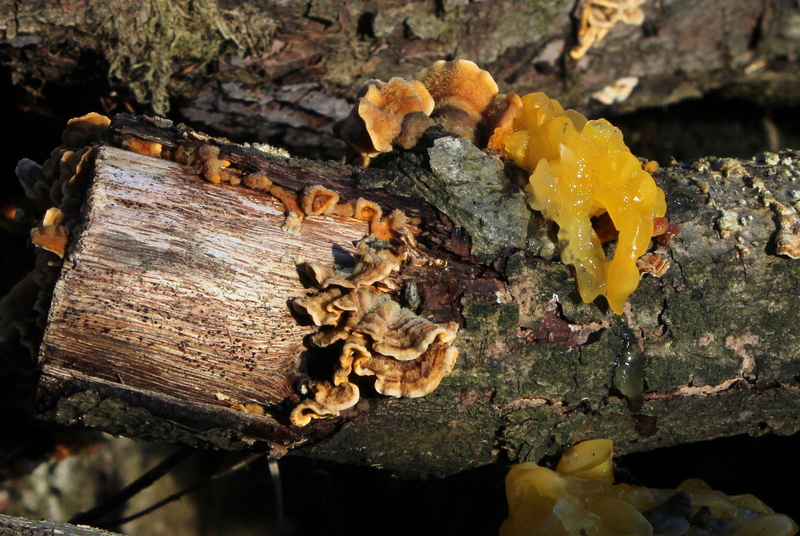 This is Tremella mesenterica, or yellow brain fungus for short. 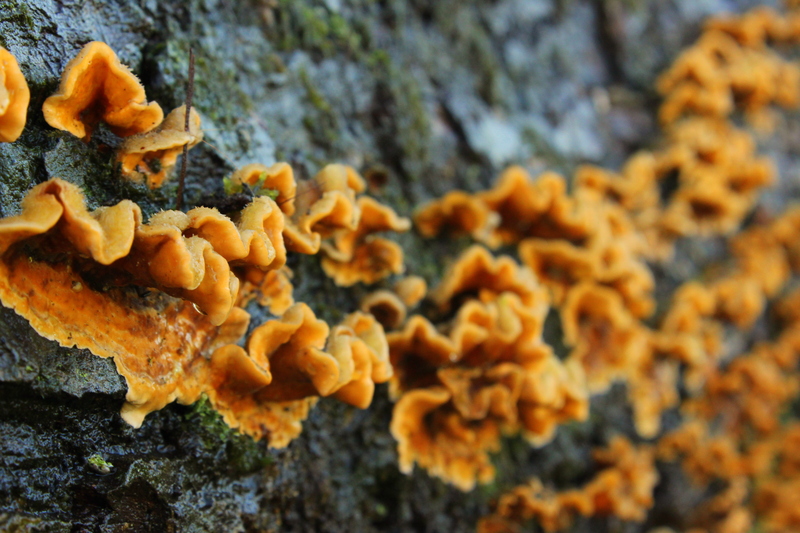 It goes by many names, including witches butter, yellow trembler and the golden jelly fungus, and you can certainly see why. On the same pile of dead logs there was another fungus which looked more like fans, which had wonderful ripple patterns on the them. 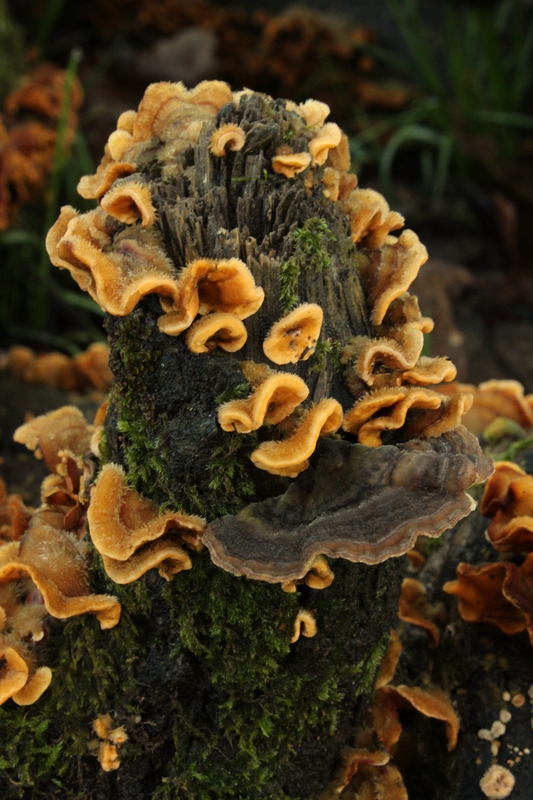 These turned out to be Stereum complicatum, also known as Crowded parchment fungus.